Posted by Dmitry Brant on Apr 24, 2011 in Blog | Comments Off on Welcome to the new site! 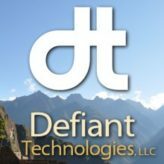 Welcome to the new website of Defiant Technologies, LLC! This site will serve as a medium for us to share news about the company, new services we’re providing, and new products we’re developing. Feel free to look around!